The first of StartRocket's space-based ads, shown in a new concept video released by the company last week, could go up by 2021. 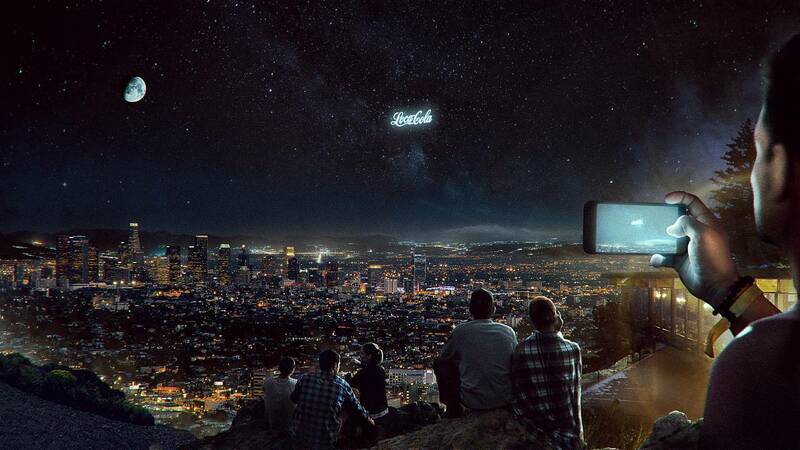 The ads — a bit like skytyping, only in low-Earth orbit rather than in the atmosphere — would be visible only at night but could be seen from just about anywhere on Earth. The company has a prototype cubesat already, and initial tests of space-based advertising could begin early next year, StartRocket CEO Vlad Sitnikov said in an email to NBC News MACH. The company hasn't revealed details about which rocket would deliver the satellites into orbit or how much it would charge clients to advertise. 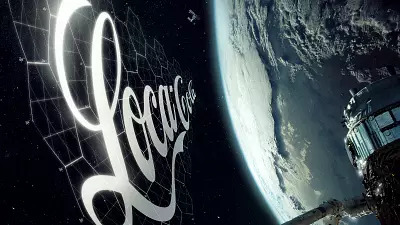 Sitnikov said the company's plan for space-based advertising was inspired by the "disco ball" satellite launched into orbit in January 2018 by the Huntington Beach, California-based firm Rocket Lab. The "Humanity Star" satellite, put into space as an orbiting art project, circled the planet for two months before burning up in the atmosphere as it fell back toward Earth. Sitnikov said the boldness of the Humanity Star project led him to wonder: "What if we will invent a new media, the first media in orbit?" Not everyone shares Sitnikov's enthusiasm for adding to the population of human-made objects in Earth orbit, which includes 1,400 functioning satellites. "Putting more satellites up there is going to cause more opportunities for collisions, and we don't want that happening," said John Crassidis, a professor of mechanical and aerospace engineering at the University at Buffalo. "My biggest issue is that these objects are going to become space junk." From defunct satellites and spent rocket parts to wayward tools and an astronaut's glove, there's already plenty of orbital debris up there. The U.S. Department of Defense tracks more than 500,000 pieces of space junkin orbit around Earth. Sitnikov said the cubesats might remain in orbit for up to a year, after which they would be remotely "deorbited" to burn up in the atmosphere. But Crassidis said the risks are too high. "It's not serving any good purpose outside of advertising," he said. "I'm not a big fan of this at all." StartRocket's plan could also raise scientific as well as logistical concerns. "You would find strong responses from the astronomy and science community," said space law expert Joanne Gabrynowicz, a professor emerita at the University of Mississippi in Oxford. "Scientists will argue that this reflected light interferes with the ability to study the skies. And if it interferes with science, that is harmful." "If you ask about critics of advertising and entertainment in space in general — haters gonna hate," he said. "We are developing a new medium. In the beginning of television no one loved [ads] at all." The U.S. outlawed space-based advertising in 1993, but Gabrynowicz said no such ban is in place in Russia.